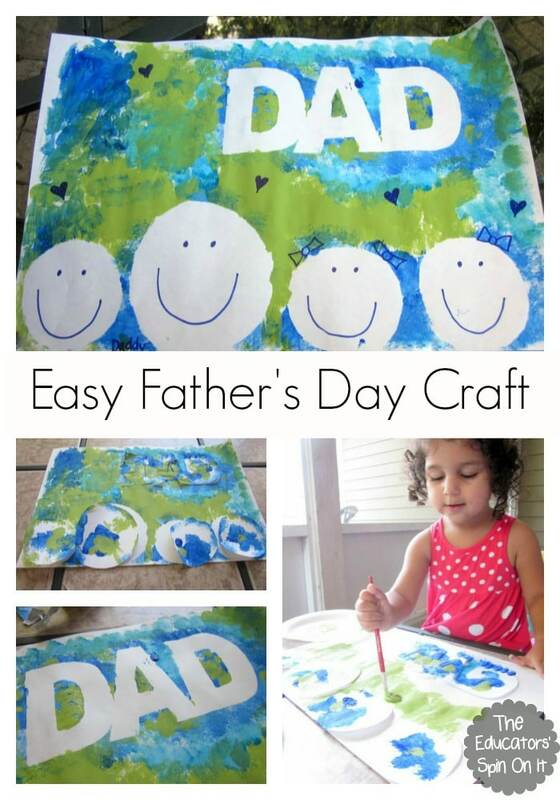 Looking for a quick and easy craft for Father’s Day? 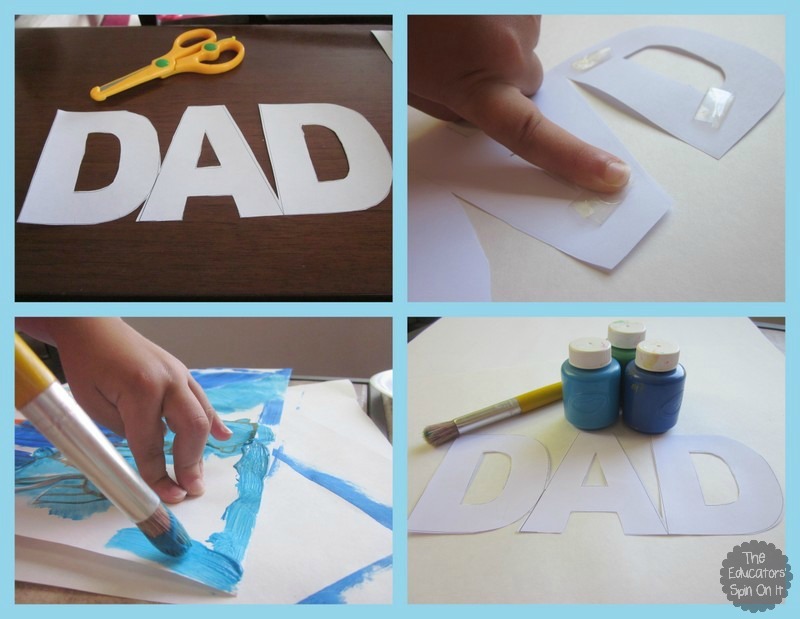 Why not make a special Painted DAD craft ! 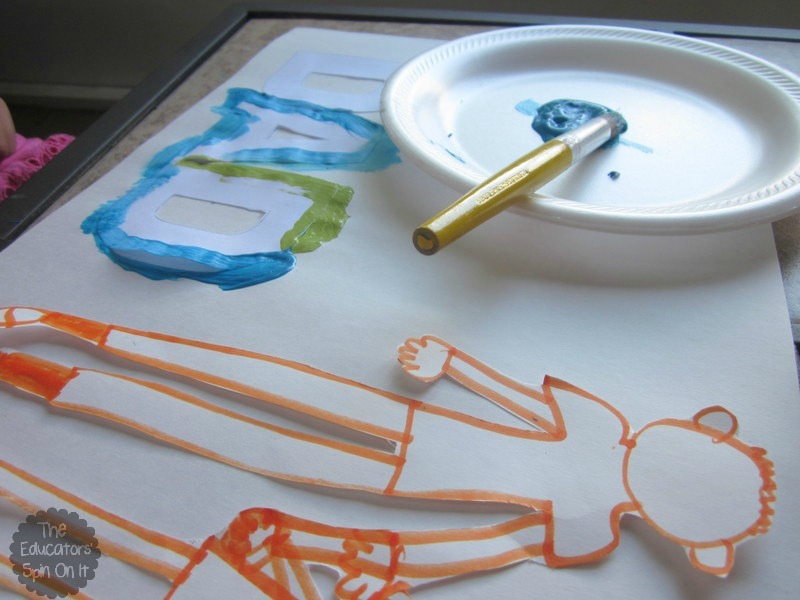 Trust me this is a very easy Father’s Day craft your kids will want to share with DAD. Here’s what happened when I had both my 2 year old and my 6 year old created their very own artwork for their Daddy. 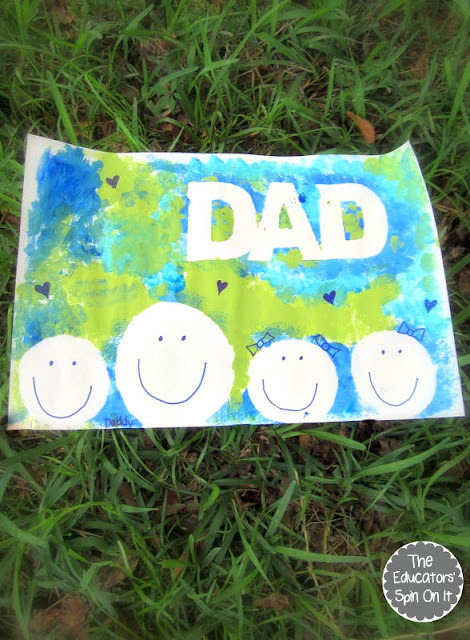 Grab a big sheet of construction paper and some DAD colored paints. Tape it down and let your kids Paint over it making sure to keep the sides down on the taped images. You can also use rubber cement for this step to make it a smoother surface when complete. 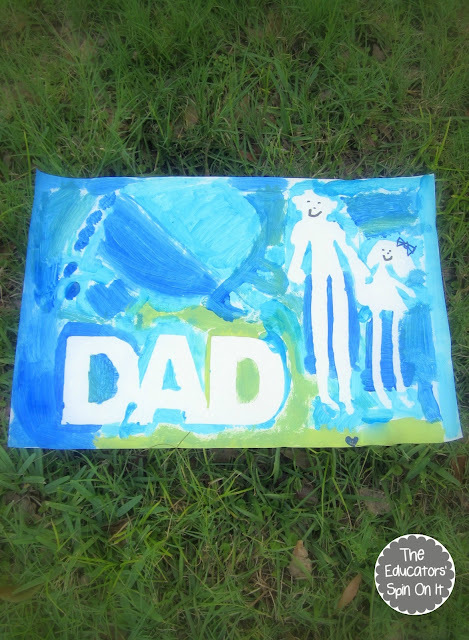 You can see how each age did a varied version of the Father’s Day Art Work. We still keep them both up on our walls to remember their creativity! Once you’re done painting remove the DAD cutout and people and you have an adorable DAD painting that any age can make form your tiniest to your biggest kids! My 6 year old have fun making this one using her own individualized drawing of her and Daddy! My 2 year old have fun making this version using just circles for the heads that we drew on together at the end of her and her big brother, big sister and Daddy. 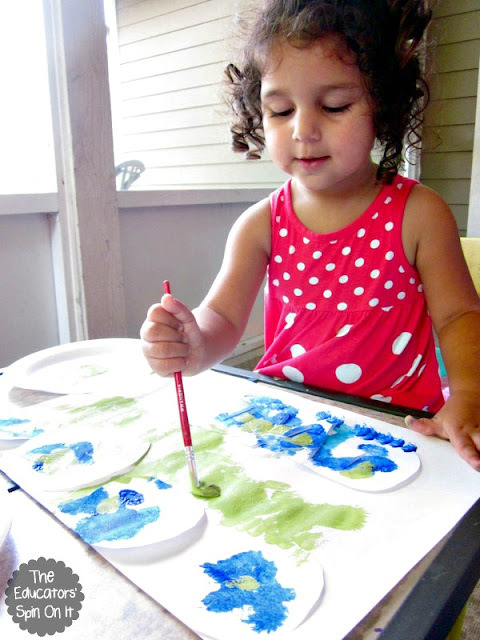 I love how this project works for various ages! Looking for more? 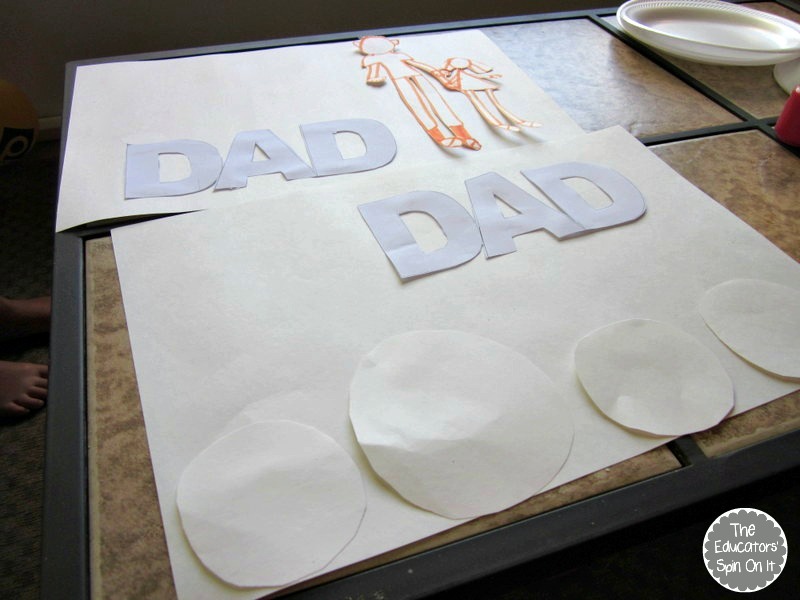 Print out our Father’s Day Poem Idea to complete with your child as a Father’s Day Gift too! Make an adorable DIY Papasaurus T-shirt that Amanda shared ! This idea was inspired from our Mother’s Day Painting and Poem! This is so adorable! Love the colors and the special drawings. Your little artists did a fabulous job! I remember this one from last year. 🙂 Love it! Thanks for sharing it at After School.